I have taken this product now for 1 month and I am overjoyed by the results that I received! 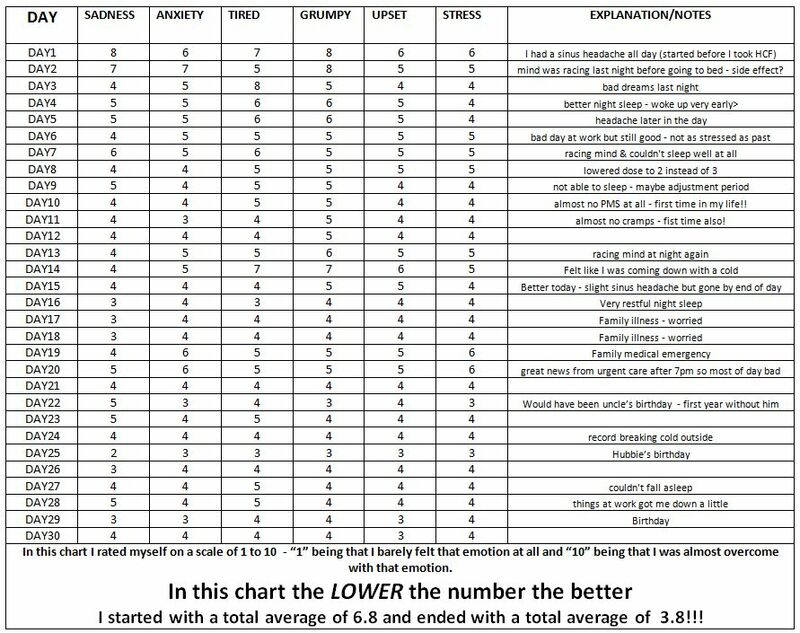 I knew that the results would be gradual in nature so I decided to make charts where I would rate myself daily. 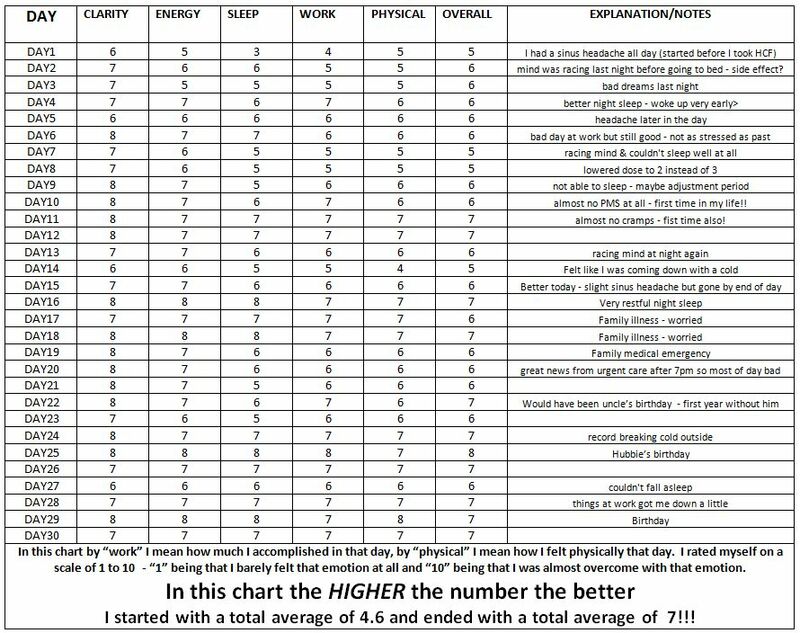 I have a positive chart and a negative chart where I rated myself on areas such as: Tired, Clarity, Anxiety, Energy, Stress etc. View the entire charts below. 1. I am able to handle and recover from stressful situations - at one point during this month I had a family medical emergency and in the past it would normally take me days if not weeks to recover emotionally from helping a family member in this type of situation. Now, it literally only took me a day and I was feeling back to myself again. I was able to focus on the problem and deal with it all while being able to sleep that night after the emergency! 2. For the first time in my life my menstruation was almost pain free - I made sure that the only thing I changed this month was to add taking HCF - so to me that means "Happy Calm & Focused" is the only reason that I had an almost pain free menstruation! I am normally mentally foggy during my period and that was gone this month! 3. We also had 2 celebrations this month and I didn't have that after celebration depression - whether it's a Holiday or a family celebration I have always felt "let down" the day after. I didn't have that after fun depression that I used to experience. Even the packaging was a joy. For the first 10 days I thought that I had received a miracle bottle of HCF! Every morning I would open the bottle and it would be filled to the rim with capsules - I thought that I had received a miraculous never ending supply! 1. 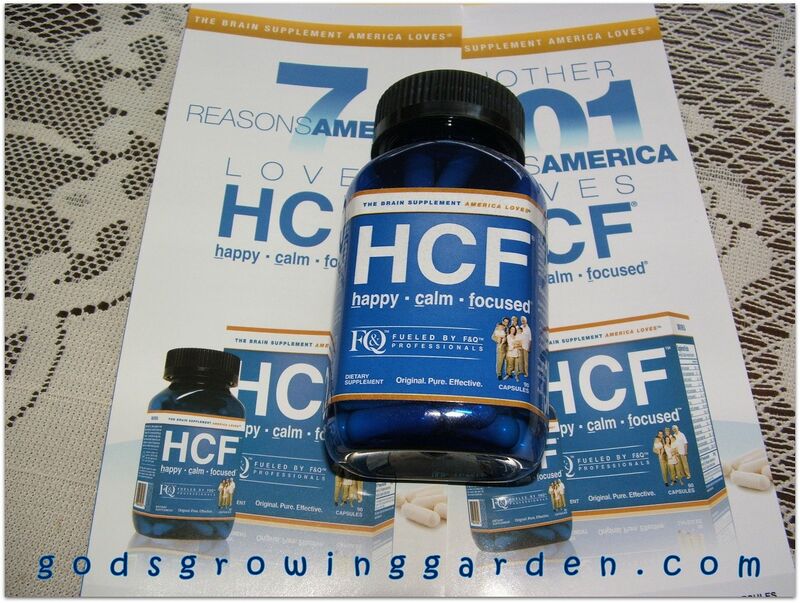 Everyone is different and finding your optimal dose is key to the success of HCF. 3. The improvement is gradual but amazing!